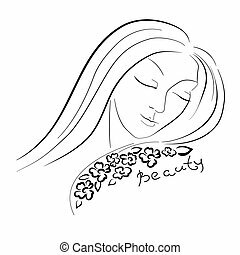 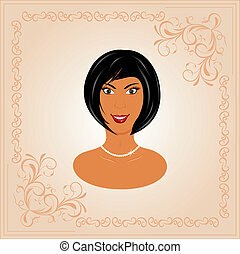 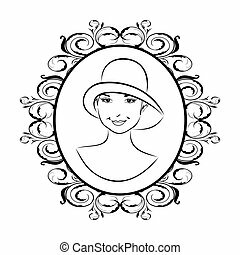 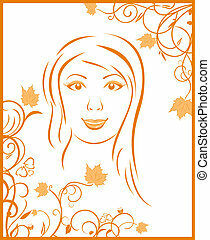 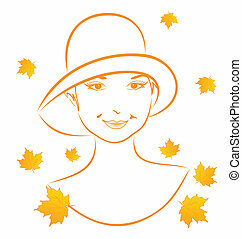 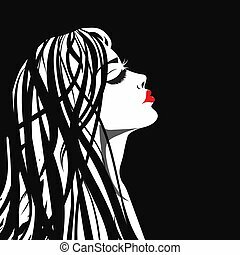 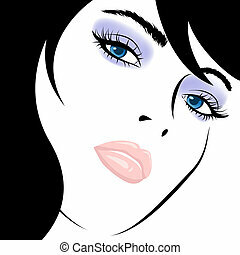 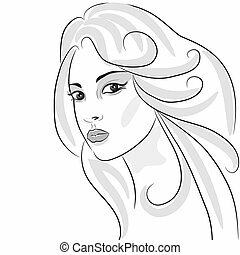 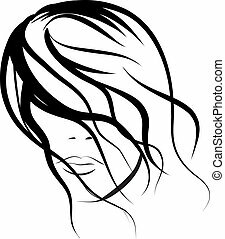 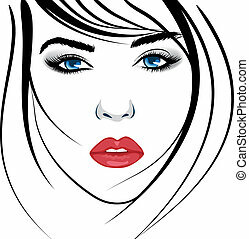 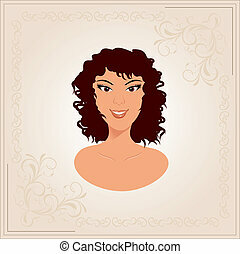 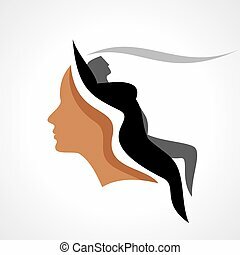 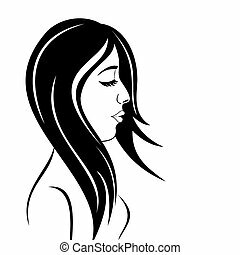 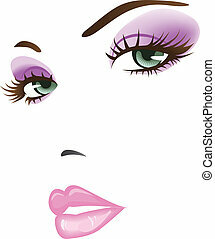 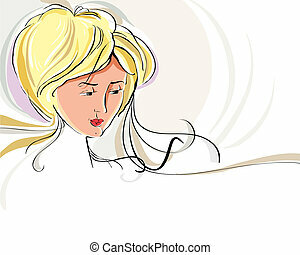 Illustration beauty girl face, design elements - vector. 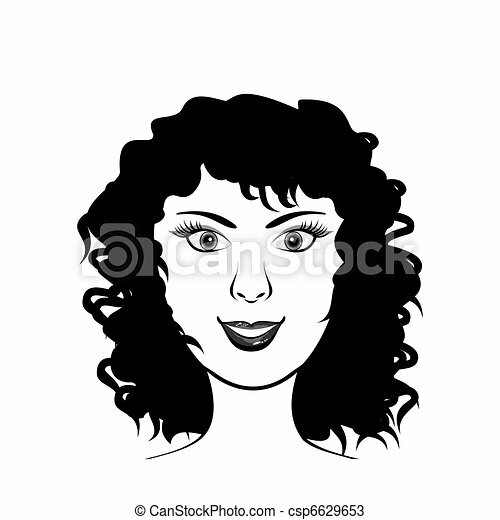 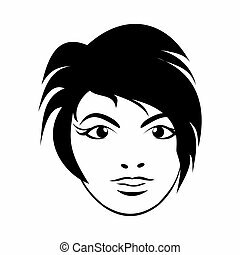 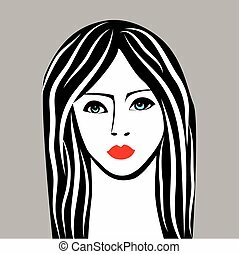 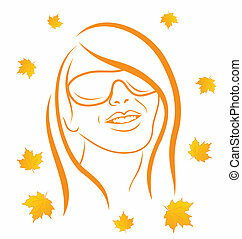 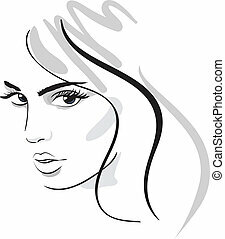 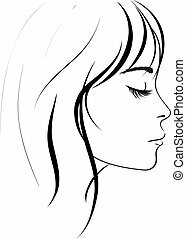 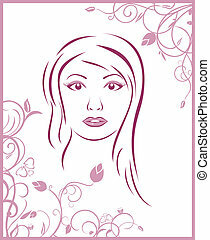 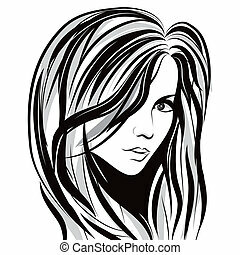 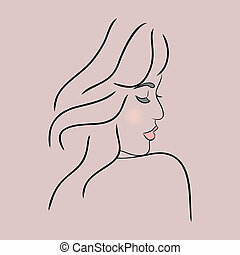 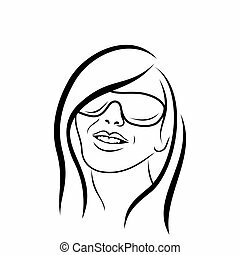 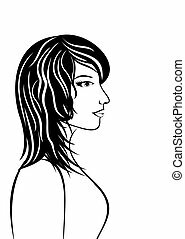 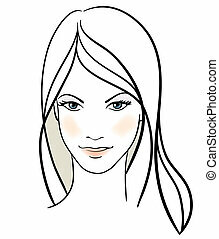 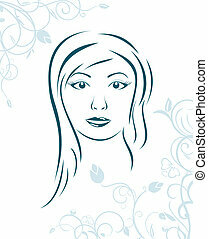 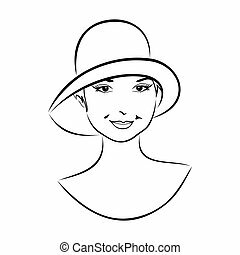 Beauty girl face sketch, woman face vector portrait. 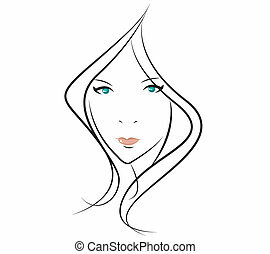 Hair wave.